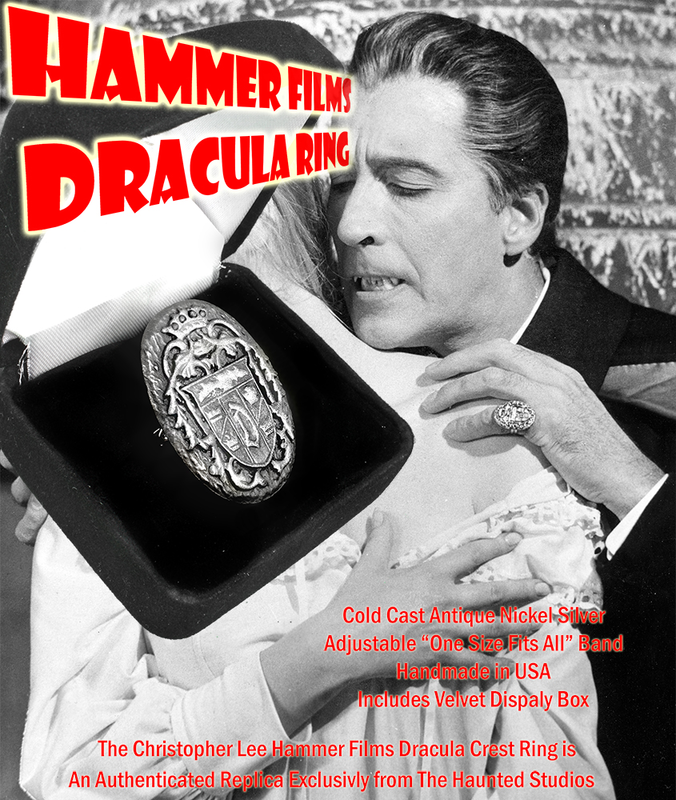 Dracula Crest Ring as worn by Christopher Lee in the Hammer Films Dracula series. This is a metal filled cold cast process ring with a one size fits all adjustable metal band. As in the Hammer Dracula series, this ring is designed to be worn as a pinky ring. 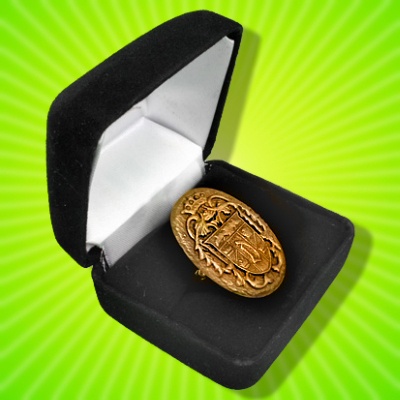 This ring comes with a velvet display box and a Certificate of Authenticity parchment scroll. Cold Cast in Classic Antique Bronze or Antique Nickel Silver. The ring features the classic Universal Dracula Crest first seen on the Dracula ring worn by John Carradine in the film House of Frankenstein (1944). Ring comes with a velvet display box and a Certificate of Authenticity parchment scroll.